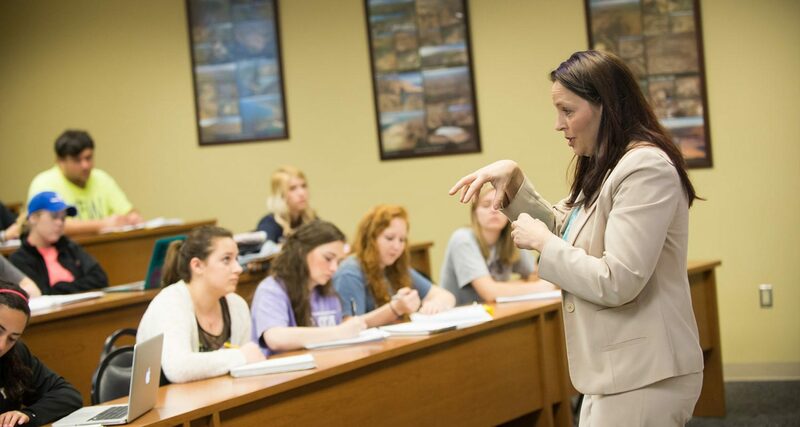 To promote a university culture that puts the educational experiences of students first, UMHB’s Center for Effectiveness in Learning and Teaching was established in 2007. The center offers opportunities for professors from all disciplines to hone their pedagogical skills through individual consultations about teaching techniques and through workshops that explore the scholarship of teaching and learning. The Learning Covenant Teaching Academy is a program offered to new faculty members at UMHB to reinforce the emphasis on great teaching. Participants are given a release from teaching one course in exchange for their enrollment in the academy; the semester-long course covers topics like best teaching practices, how to engage students in discussions, and how to incorporate faith-informed learning in the classroom. Another distinctive faculty resource is the university’s Center for Innovation, where faculty members can get assistance in developing innovations in academic programs or collaborative efforts between departments. Among the ideas explored and developed through the center is the university’s new competency-based education program "MyWay @ UMHB," a self-paced online program for adult learners based on the mastery of competencies related to organizational leadership. Though the emphasis at UMHB is on great teaching, faculty members are also engaged in significant publishing and research. In 2015 faculty members took part in more than 60 new studies, made more than 135 presentations at conferences, and had more than 50 manuscripts accepted for publication. In addition to the work of individual faculty members, students and faculty collaborate in research laboratories in education, business, exercise and sport science, and the Graduate School. In the Human Performance Lab, students study the effects of dietary supplements and exercise routines on the human body. In the Special Needs Lab, education students adapt teaching methods to meet the individual needs of children and teens with learning disabilities. Business students conduct market research in the Cru Project Center, and graduate students analyze the effects of physical therapy in the Human Movement Lab. Each spring UMHB showcases the work of undergraduate and graduate researchers in all disciplines on Scholar’s Day. The day includes a guest lecturer, poster sessions, and the reading of scholarly papers to give students experience in presenting papers and to raise awareness of the research being done by faculty and students at UMHB.